In April 1945, as Germany faced the abyss of destruction, a desperate plan was conceived by leading figures in the SS – with Hitler’s blessing – for a last-ditch defence against the Allies. A fanatical SS guerrilla force would hold out in the mountains of Austria and Italy. The Führer himself added the finishing touch: a plan to round up the Third Reich’s most valuable prisoners. They would be used as hostages. In the last resort, they would be executed in vengeance. Over 130 VIP prisoners were selected from the special compounds in which they were held at Sachsenhausen, Buchenwald and Dachau concentration camps. These prisoners – the so-called Prominenten† – included former presidents and prime ministers of France, Hungary and Austria, generals and police chiefs from Greece, the Soviet Union and Italy, as well as captured British secret agents, veterans of the Great Escape, German anti-Nazis, including clerics, celebrities, and officers who had aided the July 1944 bomb plot against Hitler, and the wives and children of men who had betrayed the Führer. Altogether they represented seventeen nations and many classes; what they all had in common was that they were hated – and many feared – by the Nazis. Guarded by a detachment of SS troops (who were to be their executioners if required), the Prominenten who survived the initial round-up were taken on a long journey into the Alps, to the so-called Alpenfestung (Alpine Fortress), a region of impregnable mountain country. So began a tense, deadly drama. Among the prisoners were resourceful, courageous men who couldn’t be held in check easily, and their SS guards grew increasingly volatile, drunk and trigger-happy as defeat loomed. The leaders of the Prominenten risked themselves to keep their fellow hostages alive and fed, while the more aggressive plotted to contact partisans and the Allied armies advancing through northern Italy. It was a situation that could explode at any moment, and finally developed into an armed stand-off between Wehrmacht forces and the SS, with the hostages in the middle. While some of the hostages conducted dangerous negotiations with local Wehrmacht generals, one of them – a renowned Great Escaper – made a desperate trek through enemy territory to American lines. His arrival there triggered a frantic rescue bid in which an American armoured task force raced ahead of the Allied advance in an attempt to save the Prominenten before the axe fell. "This gripping account of one of the important but lesser-known aspects of the last days of the Second World War is packed with brand new information. 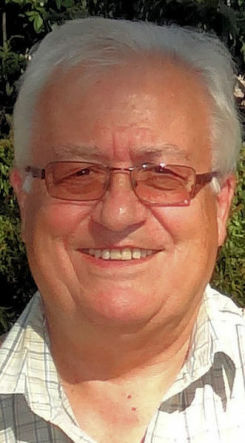 Ian Sayer is a fine World War Two historian and the owner of the greatest private archive on the subject in Britain and has a long and enviable track record of discovering great historical scoops. 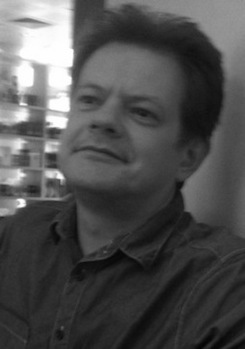 Written with pace and verve, yet always true to the facts, this extraordinary story would make an amazing feature film." 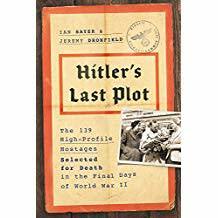 World English rights in Hitler’s Hostages,by Ian Sayer and Jeremy Dronfield, the thrilling story of how 130 VIP prisoners were used as pawns in a last-ditch defence against the Allies in 1945, have been bought by Perseus.